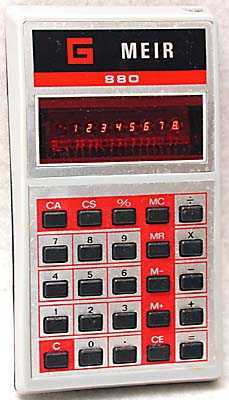 The "Standard Type 1" was a cheap type of standard calculator of the mid-1970s that was sold (and given away) under many names. 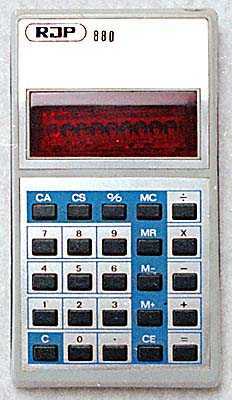 Here is the "Standard Type 2" which appeared a year or two later and again is a cheap calculator that was available under many names. Here are some of them. 74 x 135 x 22 mm (2.9" x 5.3" x 0.9"). This Texet 880 Executive is called the 880A in the instruction manual. 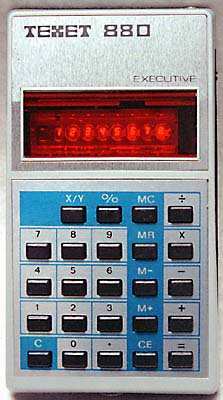 It has a different keypad and uses a MOS MPS-7560 integrated circuit. 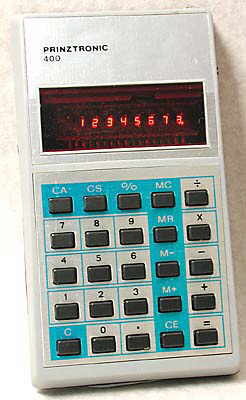 The "Standard Type 2" series appears to be a later development of the "Standard Type 1". 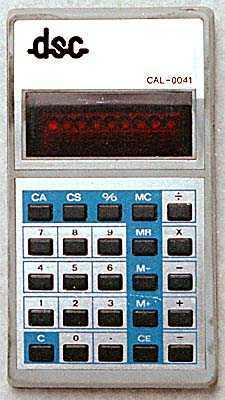 It also uses the Texas Intruments TMC0972 or TMS0972 integrated circuit of the earlier version, indicating that calculator electronics had matured and the rate of development was now very slow. 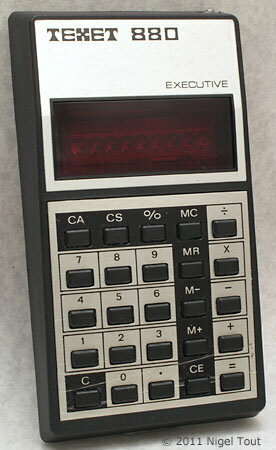 As with the "Standard Type 1", this model was one of the cheapest available and was sold under many names and was also given away as an advertising item. There appear to be a couple of varieties.